Apple releases iOS 11.3 for developers today. The beta version for iOS 11.3 is out today. It has features such as ARKit 1.5, AirPlay 2 and more. One of the major changes that could catch user’s eyes is authentication process for purchases via the iPhone X. With the new feature, iPhone X user will get a new way to authorize purchases and downloads. On iPhone X, a user requires you to double tap the side button and then authenticate the action with Face ID, whereas in iPhone devices with Touch ID, needs to use the fingerprint to authenticate. You might be thinking that why the change. Well, the change was forged to prevent people from purchase an app or content fortuitously as Face ID is used on the phone more than you think. Earlier, the purchase prompt window in iOS 11 at the top right corner of the screen would notify, “Double Click to Install” As you click on it, it will ask for your Face ID to authenticate. The process was simpler than that of now, but it got a lot of opprobrium about not being intuitive. Now with iOS 11.3, Apple has tried to make it intuitive by adding a prompt before Face ID authentication process starts. You will also see “Confirm with Side Button” instruction with an along with the graphic at the bottom of the purchase window. It looks like Apple is working on making iOS 11 a better version with all it has got. Microsoft is addressing privacy concerns with new data collection viewer. WHY A DATA COLLECTION VIEWER? With the next update of Windows will be available for the tester from this week. The testers could be able to access a new Windows Diagnostic Data Viewer. The viewer consists of an outline of data being sent to Microsoft servers by Windows 10. The Data Collection Viewer looks somewhat like Wireshark and it acts as a medium which allows Windows 10 users to decrypt data which is sent encrypted to Microsoft’s servers. The diagnosis data consists of peripherals, device connectivity, movie consumption, configuration options, performance data and more. People who are concerned about their privacy can check all the content to make sure nothing raises a brow. WHY IS THE TECH GIANT WORKING ON DATA COLLECTION VIEWER? It is like been forever, Windows 10 has been facing concerns about collection data with Windows 10. Some of the instances of the same include France ordering Microsoft to stop tracking Windows 10 users, EEF also raised a concern about the data collection issue and these are not the only one. 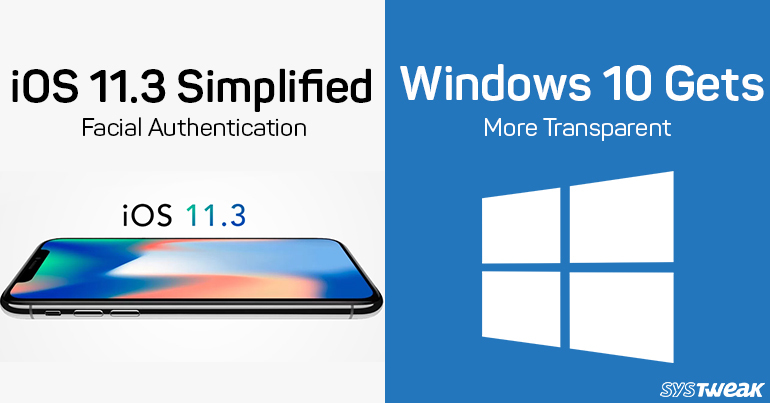 Last year, Microsoft came forward and explained what data actually collected by Windows 10 and with the latest attempt, it seems it is very much interested in increasing transparency. The reason behind collecting the data is to make Windows 10 a better OS and it could also help the tech giant to take good product decisions. Soon, this feature will be included in the next big update and will be available to download and install. Apart from this, Microsoft is working to update online privacy dashboard which will provide an ability to export and delete data, manage media data consumption and more. It is Microsoft’s attempt to ease the concerns. The increasing number of the privacy concerns was a serious issue and could tint the company’s image. The tech giant has always been efficiently addressing all the issues and is also trying to be as transparent as possible.